For some drivers, a visit to the filling station is a quick in-an-out mission, and for others it’s a little more, thanks to a quick maintenance check. The filling station certainly has more to offer than just a quick fill up stop. You may consider yourself a responsible car owner, however anything can happen when you least expect it – even to the most responsible individuals. Your car could send you an alert for caution or a pending hazard that needs immediate attention to prevent bigger problems. This is when your nearest filling station can come in handy with the added benefit of quick and easy maintenance checks. Oil enables your engine to function by lubricating it, running low on oil is dangerous in that your engine parts will wear down faster. Should you find yourself completely out of oil, you run the risk of your engine seizing up. If you don’t already, ask the petrol attendant to check your oil during your next fill up. 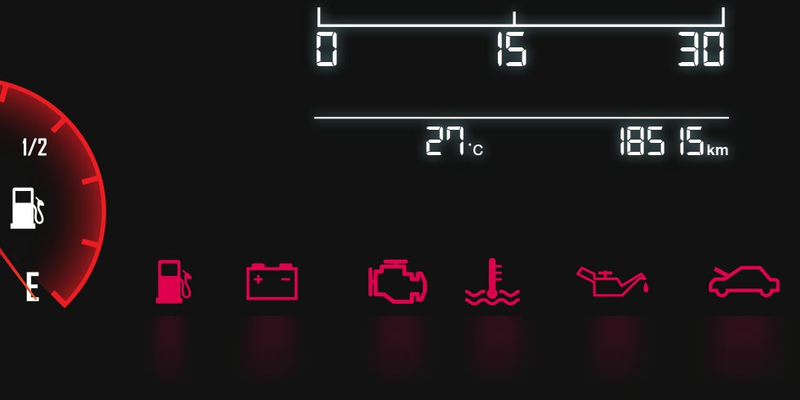 To get a more accurate reading, ask that it is checked last so that the car has a chance to cool down and the oil in the return galleries is drained down. The first thing you may want to have checked is the transmission fluid reading, do this while your engine is still warm to get a more accurate reading. Running out of transmission fluid damages your gears. This check should already be standard with every fill up, even your petrol attendant will ask if they can assist. Having your tyre pressure checked every time you pull into a filling station assists with ensuring that your wheels stay aligned. While you’re checking the pressure, also check the tread of your tyres, this will help you identify sooner rather than later whether or not you need new tyres. It is essential to make sure that your steering wheel always has enough fluid for it to be as fully functional as intended. Be sure to have it checked to save yourself the danger of not being able to steer out of a sticky situation should you find yourself in one while driving. No brake fluid, no brakes. If your petrol attendant informs you that you are running low on brake fluid, you have a serious problem. Cars should not consume brake fluid, if they do then it means that there is either a leak in the brake line or the brake surfaces are worn. Take your car in to be fixed immediately. The last thing you want is to have your engine overheating in peak-time traffic. Have your coolant checked the next time you pull into a filling station, do this when the engine has cooled down to avoid a spray of scalding water. You don’t need to wait until your next car service to ensure that you’re running smooth with every drive. Having all these quick maintenance checks done with every visit to the filling station will help you curb potential issues early. For added security, having car insurance will be another tick on your ‘responsible car owner’ checklist – you could even get a quick online quote while you wait for these checks to be done.